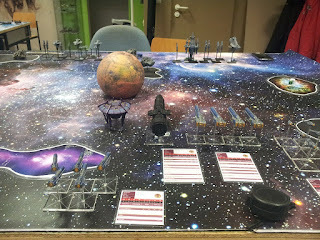 Hi folks, played a game of Firestorm Armada last weekend. Wanted to try out the dreradnought, so we played a 1000 Points game of "Capture the Station" with me being the defender. 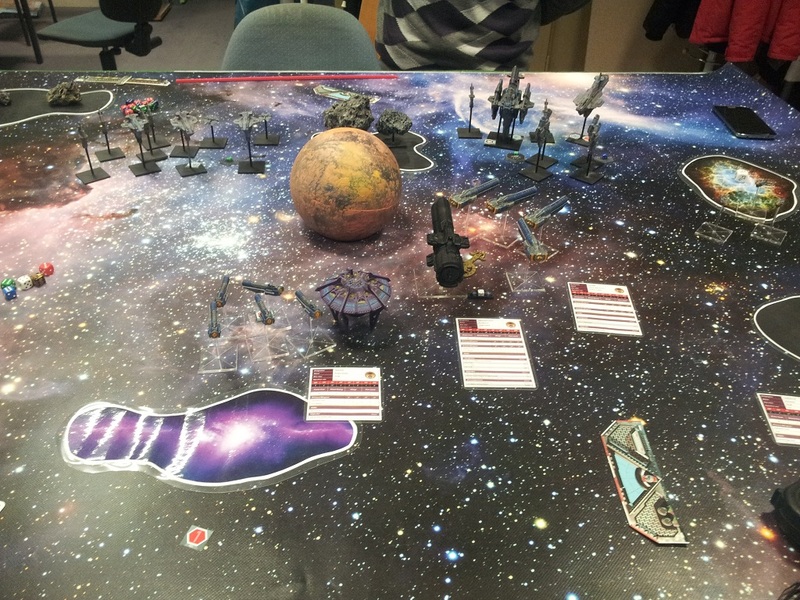 My soryial forces were tasked to defend a station from the attacks of the relthoza. 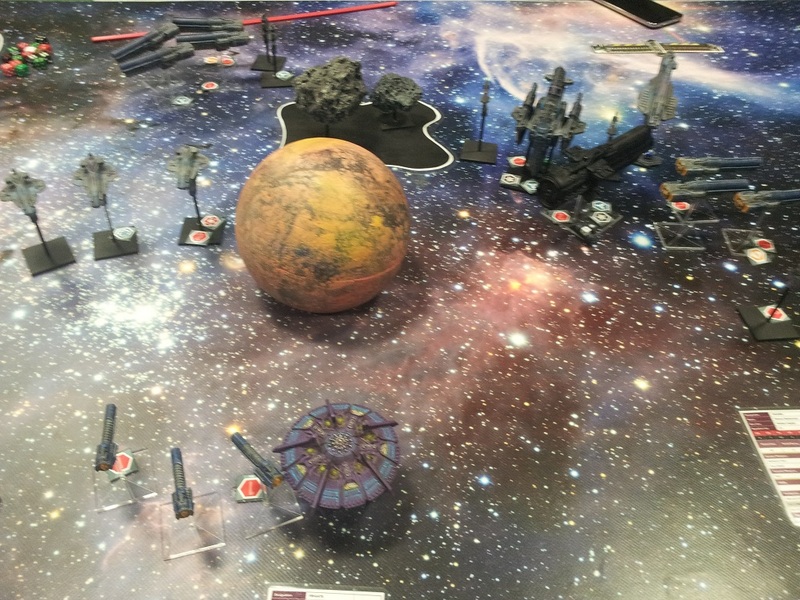 My list contained a dreadnought, two cruiser squads, one frigatte squad and a corvette squad. The spiders took a dreadnought with escorts, a battleship, a squad of cruisers, and nidus and drone frigattes. I deplyoed the station behind a planet and my forces on its right side. A squad of cruisers stayed in reserves. 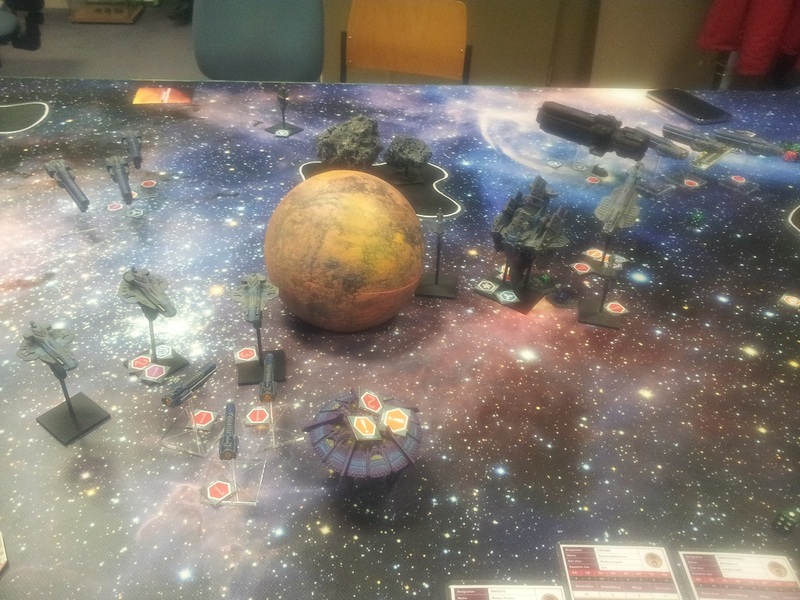 The spiders deployed their big ships opposite mine and the cruisers and some frigattes on the left side. Turn 1 went uneventful, some miner damage here and there, but nothing big. 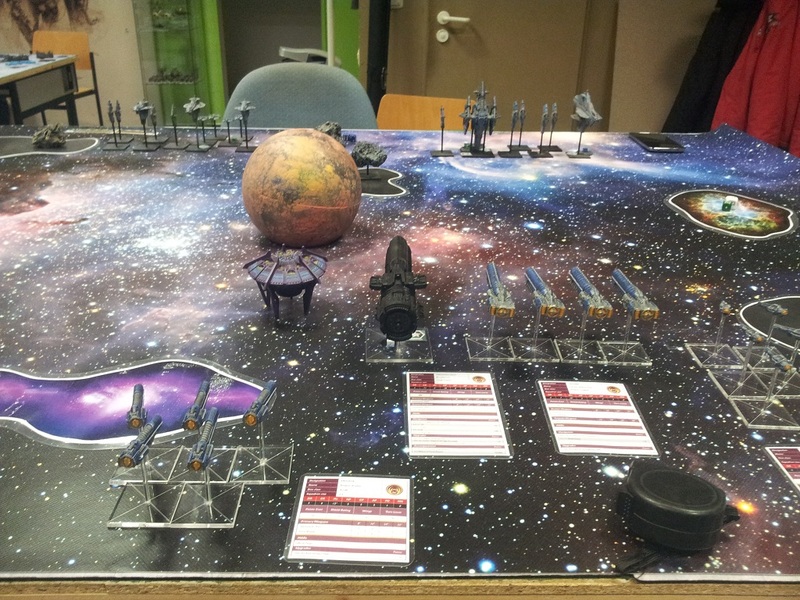 My tactic was to meet the big ships and cripple them enough to hinder them take the station. On the second turn my cruisers jumped in behind the enemy lines and did what they do best, spread damage and confusion in the enemy lines. The dreadnought went into an infight, but wdidn't harm each other . The first casaulties were made in this turn. 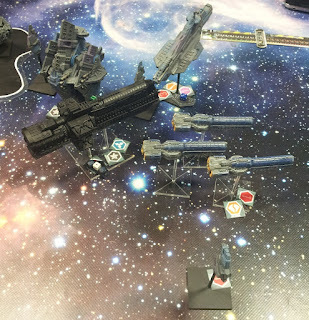 In the next turn, the spider cruisers closed in to the station, with me rolling really bad and no chance to stop them coming close. The spiders started to shot the station in this turn, trying to stop me from getting battlelog from it. The fourth turn was the last, due to being three o'clock at night. :) I couldn't stop the spiders from reaching the station and the battleship successfully captured it. I tryed to get more hull from the Tier 1's to get more battlelog, but all my attacks were not successful (both, the dread and the battleship were not giving me that hull to give battelog for me). So the game ended with 0-6 for the spiders.